In the past few years, Lego has realized that the car enthusiast market, the toy market, and nostalgia can overlap to sell some of their products, and as a result, have released several model kits for some of history's most popular cars. At present, they offer a Caterham Seven 620R, a Mini Cooper, the original VW Beetle, the VW Type 1 Camper Van, and the Ferrari F40, none of which take any less than several hours to build. 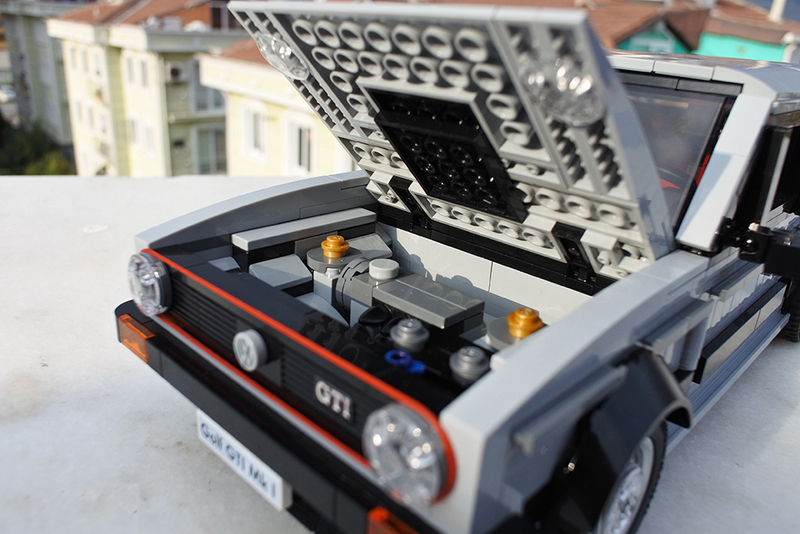 In due time, another car will be added to this roster from their Lego Ideas program: the original VW Golf GTi hot hatch. The project exceeded its 10,000 signature requirement in a mere six weeks, and is now being examined by Lego for production viability. 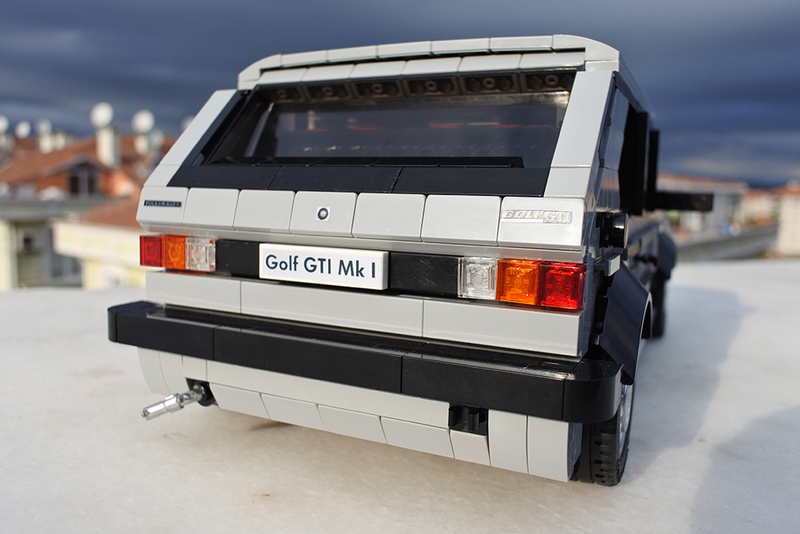 According to Lego's official comments on the project, the Golf GTi set is the third most-viewed set suggestion of all time, behind only Back to the Future and Minecraft sets. You've revved that GTI's engine loud and hard, and it would seem that the entire LEGO and car community has heard your call for support, as it has rushed in - in just 6 weeks! Fun fact: did you know that only the Minecraft and Back to the Future projects have had more views than your VW? That's quite an impressive feat! The model itself includes a number of bright ideas to match the aesthetic of the original car. 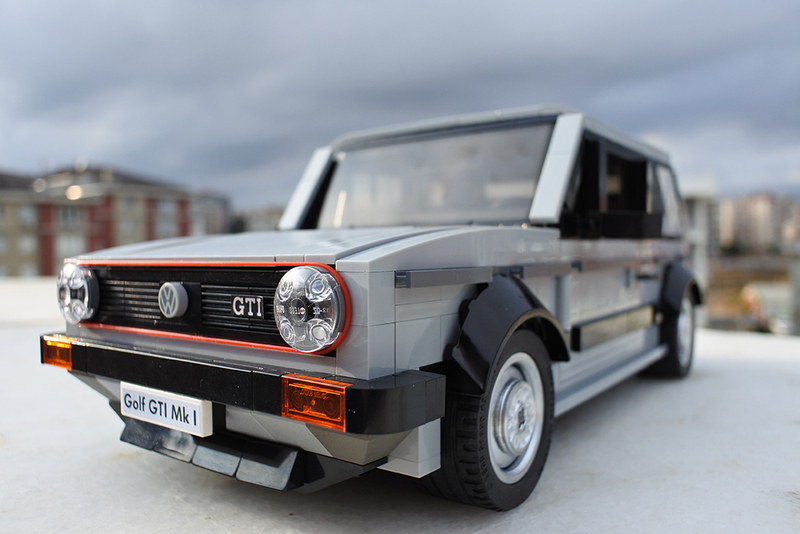 Just because the original Golf GTi was boxy doesn't mean it's easy to recreate in the largely polygonal world of Lego. A thin red rubber band has been stretched around the headlights to mimic the red grille surround that is now signature of VW's enthusiast products. 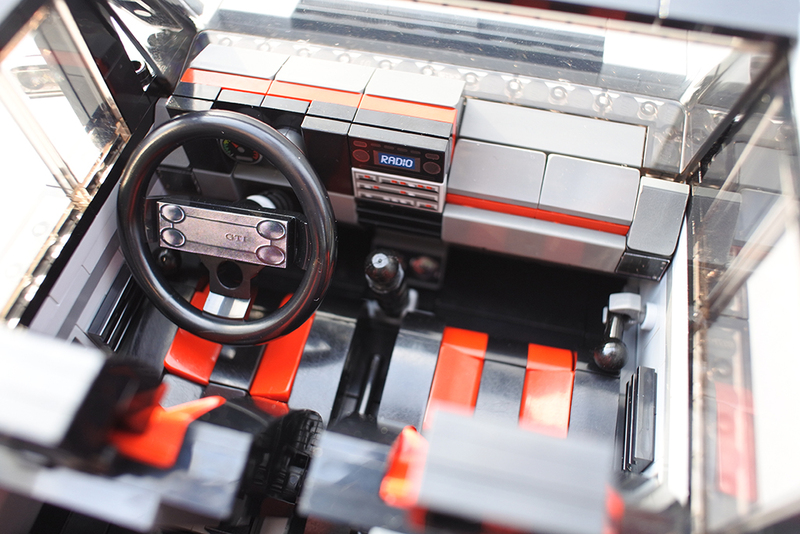 The interior was easily recreated, the squared-off dashboard faithfully represented in the plastic brick medium. Though the official status is "in review," this product's manifest destiny will be its place on store shelves. The review process itself is merely Lego's way of preparing this set for production. They need to get the licensing from VW to produce it, which ought to be easy, considering that they already sell two branded VW sets. The assembly instructions will have to be coordinated with either the set's creator or recreated by the company's designers, and lastly, the company must estimate how large to make the production run. All of this preparation will be complete in time, so the only thing for GTi fans to do is bide time until these boxes are on store shelves. When you can't afford the real thing, why not build one yourself? 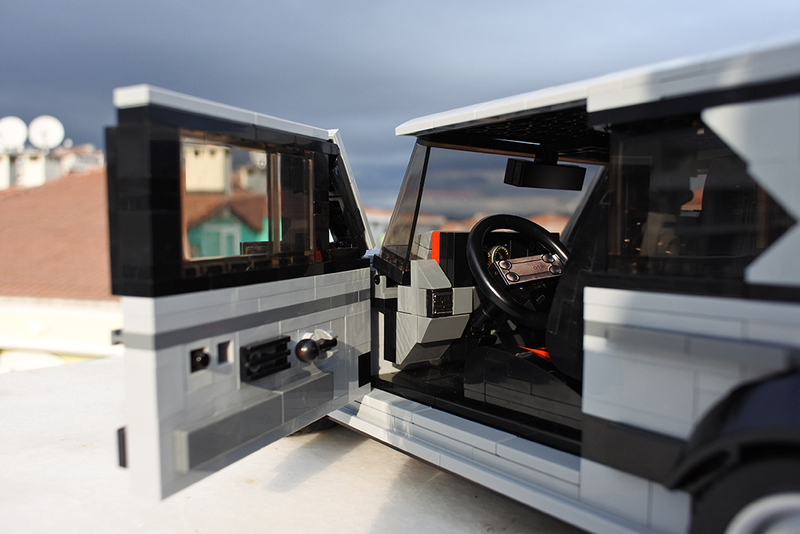 Group B Rally in Lego? What's Not To Love? All you need is another car to race it against. Or at least a bundle of Legos that remotely resembles the new Super-Series McLaren.